If it plugs in or needs a battery, chances are we carry it. We also stock a complete line of all the parts and components for any indoor or outdoor project that your home requires regarding electrical needs. We can also provide you with expert advice on safely handling the project, such as contacting the local power company before you dig, and always turning the current off when you install or replace an outlet, ceiling fan, or wiring of any kind. You can even get expert advice on the latest version of the light bulb. Some types now last up to a decade and can save you thousands of dollars on your utility bills. There are even choices such as soft white or pink tones designed to flatter! From simple power cords to surge protectors, new wall sconces to ceiling fans with wall mounted controls, we carry it all and can give you the expert advice you need to choose the right item. 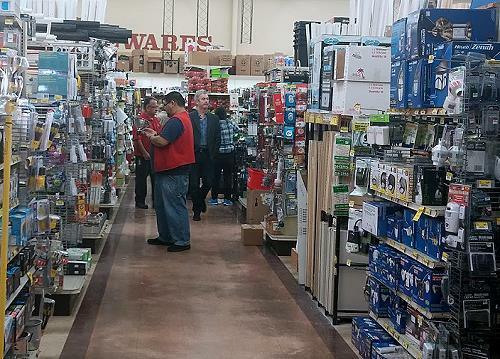 No matter if you are moving into a fixer upper that requires new electrical, or just choosing a new light bulb for a vanity in your current house, Grand Lake ACE Hardware should be the first and only stop that you need to make. CALL NOW: (510) 652-1936. We’re happy to help.